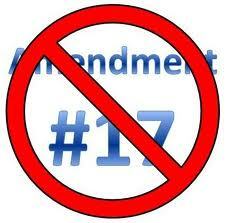 The most ridiculous argument that I have ever heard regarding the Constitutionality of the 17th amendment was the fact that it was ratified. I actually had someone hang their hat on that flat and banal statement, then blink their eyes rapidly as if they had just discovered the cure for stupidity. If that person’s ideology is correct then the fact that someone gets murdered makes it legal simply because it happened. This ideology is as equally absurd, shallow and childish as the Progressive agenda is misguided, flawed and corrupt. The Constitution of the United States of America is a unique document in that it very carefully pieces together the framework of a Representative Democracy which brilliantly limits the control of governing to the consent of the governed…The people. The important concept to grasp here is that of a ” representative democracy ” because our Founders also provided an avenue by which the interests of each state would be represented at the Federal level; that avenue was the United States Senate. Our Founding Fathers created the Senate because they understood that the needs of the people were quite different from the needs of the states. They recognized at the very onset of this republic that each state possessed different resources, regional opportunities and constraints, weaknesses and strengths. They saw that the individual states were developing private and corporate enterprises that were unique to each state and that the free market was far better at managing those interests than the new Federal Government. To our Founders, state representation at the federal level was not only imperative to the success of a united republic but that it would it also serve to ensure that each state would remain a sovereign entity. 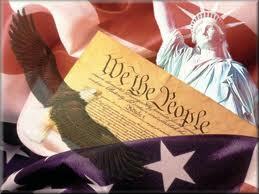 In fact, without the assurance of state sovereignty our nation may never have been born. So in the beginning, all voices vital to the health and success of the emerging republic were given a seat at the Federal Legislative Table. Today, at every election the people still have an opportunity to reaffirm their consent through the individuals whom they choose to send to Washington DC to represent their needs and wishes; but the states no longer do. 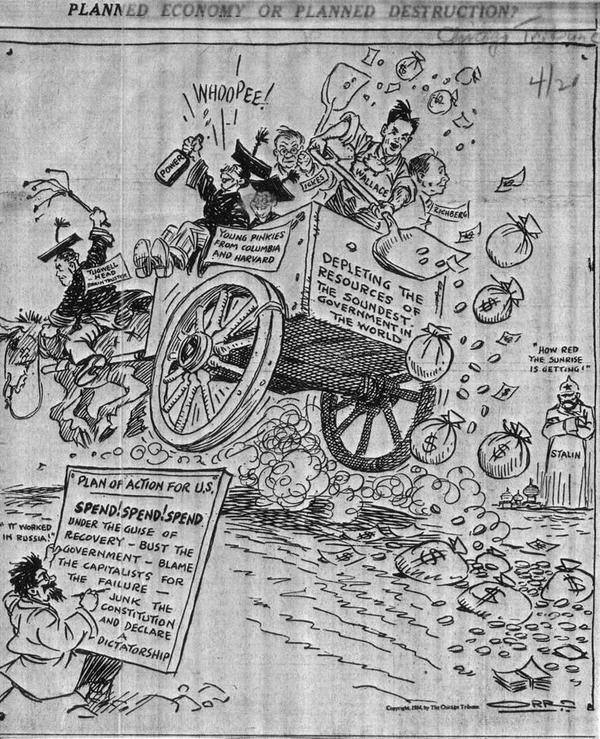 Federal representation of the interests of each state, as well as the interests of our free enterprise system were literally eliminated with the ratification of the 17th Amendment. This amendment destroyed the balance of power, leaving the states and our Republic vulnerable to exactly what our Founders feared most, a dominant and overbearing Federal Government. Our Constitution never gave the people or the states the latitude to change our style of government from a Representative Democracy to a Socialist Republic. Yet, that is exactly what happened when the Progressives crammed the 17th amendment down the throats of the American People. The ratification of this unconstitutional amendment severely upset our system of checks and balances and opened the door for the establishment of the Socialist principles that our Forefathers had fought so very hard to protect us from; and all this occurred right before the eyes of and against the will of the governed. Over the last 100 years, these Marxist ideals have given way to the establishment of Socialist style legislative initiatives that are currently bringing The United States to her knees…out of control spending, unfunded federal mandates, one size fits all education standards, federal meddling in the laws of each sovereign state; a rogue EPA, a radical Department of Energy, OBAMACARE, the list goes on. Article 1, Section 3 of our Constitution was drafted to establish the protective framework of a true Representative Democracy and the 17th amendment was drafted to dismantled it. This amendment opened the doors for the Marxist redistribution of America’s prosperity for the “common good”. In 1901 there were 2 members of the Socialist Party in our House of Representatives. Today, there are over 75 admitted Socialists seated in the U.S. House of Representatives and the U.S. Senate. I’m fairly confident that most Americans aren’t aware of the fact that their numbers are so great and I am equally as confident that there are some who simply won’t believe that it’s true at all. It’s difficult for me to believe as well, so let’s start off with specifics…let’s start with Arizona’s Raul Grijalva. He is also the Co-chair on the Congressional Progressive Caucus. WHY IS THERE A CONGRESSIONAL PROGRESSIVE CAUCUS IN THE FIRST PLACE!? The mere fact that it exists at all should be a major concern for all those who are interested in preserving this republic. I won’t waste my time by listing all 75 of these liars and enemies of liberty, you can look them up for yourself and you will find that all of them are admitted members and allied with the Democratic Socialists of America. I refer to these Socialists as liars because when an admitted Socialist takes his or her Constitutional Oath, they are lying. They are lying simply because they are Socialist and therefore stand in direct opposition to the ideals and principles of a Representative Democracy and have absolutely no intention of defending the Constitution of the United States of America and if they did, they wouldn’t be Socialists! Am I wrong? 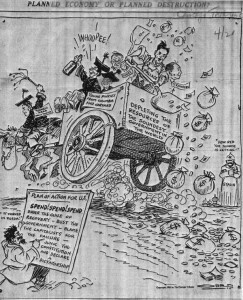 There was a reason that the Progressive/Socialists so desperately sought the 17th amendment; because without it they couldn’t bring about their American Utopia by “fundamentally transforming” this free and independent republic into a collection of subservient states united in the cause of lobbying before the Federal Government for free stuff. Take a look at the language that our Founding Fathers used to ensure a stable representative balance in the U.S. Senate. Do you think that our Founding Fathers just might have had some insight into what could happen to this republic if Congress were to change the PLACES (the State Legislatures) in which the Senators were chosen? Do you think that they may have specifically written that in there because they had some grave concerns as to the damage that would be done to their republic if let’s say the Senators were to be chosen by popular election? The answer to both questions is an unequivocal and absolute “Yes”. Before I go on, I must ask you to ponder as to why you believe that our Founders specifically wrote that exception into that article. 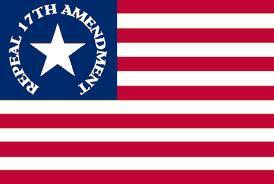 How then did the American People permit such a tragic amendment to be ratified? Especially when our Constitution specifically stated that Congress COULD NOT CHANGE THE PLACES WHERE SENATORS WERE CHOSEN. The answer is that they were conned by William Randolph Hearst and his henchmen and by Woodrow Wilson and his Socialist minions. You see, in order for them to have transformed this Representative Democracy into a Socialist Republic, they would have had to call a Constitutional Convention. This would have drawn grand attention to their dark scheme. So, they figured that they would just get the states out of the way and bring about their evil transformation a little bit at a time before the American People could realize what was happening. This was the intention of the 17th amendment and they devilishly beguiled the American People into believing that the popular election of Senators would give them more power…when in fact, the opposite was true; it shackled the states AND the people. Again, please remember, that Congress had no authority to make this change. Keep in mind that this clause is un-amendable; yet the 17th amendment was rammed through regardless of the fact that Utah and Delaware voted AGAINST the amendment. Therefore they lost their suffrage WITHOUT their consent. Since then, Delaware ratified it but not until 2010. No action has been taken from Florida, Georgia, Kentucky, Mississippi, Rhode Island, South Carolina and Virginia; ALL of which have lost their suffrage WITHOUT THEIR CONSENT simply because they haven’t given it yet. So according to Article 1 section 4 and Article V, the 17th amendment is unconstitutional and should be repealed by Congress on an immediate and permanent basis. What of the Progressive/Socialists in our beloved Congress? What can we do to find out more about their dastardly plans for America? What of the Progressive/Socialist laughing at us from the Oval Office? What of those who consider themselves to be “fashionable” or “interesting” by referring to themselves as Progressives? It must be fashionable and interesting to be ignorant as well but I must say that it’s inexcusable and that their trendy ignorance is a menace to our liberty and our God given way of life. If we repeal the 17th amendment we can restore our Republic to her greatness and watch as liberty and freedom are pried out of the iron fists of our Federal Government and put back into the open hands of the American People and the states where they belong. We can stop this Progressive movement that has shackled our nation’s mobility for over 100 years and re-establish a republic that will, once again, lead the world in the fight against tyranny and oppression rather than contributing to them. ‹ William Randolph Hearst: Media Magnate, Millionarie and…Socialist? Thank you so much for the heads up. We will get right on it ! We appreciate the compliment too !